PHOENIX: Be Among The First To See THE LEGO MOVIE 2: THE SECOND PART !! Are you ready to see an advance screening of THE LEGO MOVIE 2: THE SECOND PART? Check out the trailer below. Passes are limited, and once they’re gone, they’re gone. 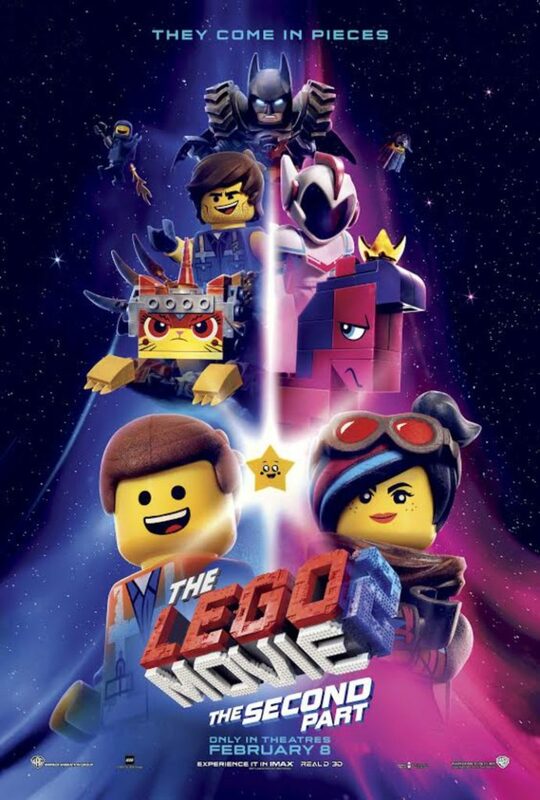 The screening for THE LEGO MOVIE 2: THE SECOND PART is on Saturday, 2/2/19 at 10:30am at Harkins Park West 14! 9. Search “The CineSportsTalk Radio Network” wherever you listen to your podcasts and subscribe, like and rate! Reprising their starring roles from the first film are Chris Pratt as Emmet, Elizabeth Banks as Lucy (aka Wyldstyle), Will Arnett as LEGO BatmanTM, Nick Offerman as Metal Beard, and Alison Brie as Unikitty. They are joined by Tiffany Haddish, Stephanie Beatriz, and Arturo Castro as, respectively, new characters Queen Watevra Wa’Nabi, Sweet Mayhem and Ice Cream Cone. “The LEGO Movie 2: The Second Part” is directed by Mike Mitchell (“Shrek Ever After,” “Trolls,” “Sky High”). It is produced by Dan Lin, Phil Lord, Christopher Miller and Roy Lee, the team behind the LEGO film franchise since “The LEGO Movie” debuted in 2014. “The LEGO Movie 2: The Second Part” opens nationwide in 2D and 3D on Friday, February 8, 2019. LEGO, DUPLO, the LEGO logo, the minifigure and the brick and knob configuration are trademarks of The LEGO Group. ©2018 The LEGO Group. Used with permission. All rights reserved. BATMAN is trademark of and © DC Comics.